Notepads Printing... Located in Toronto, Shipping Across Canada! 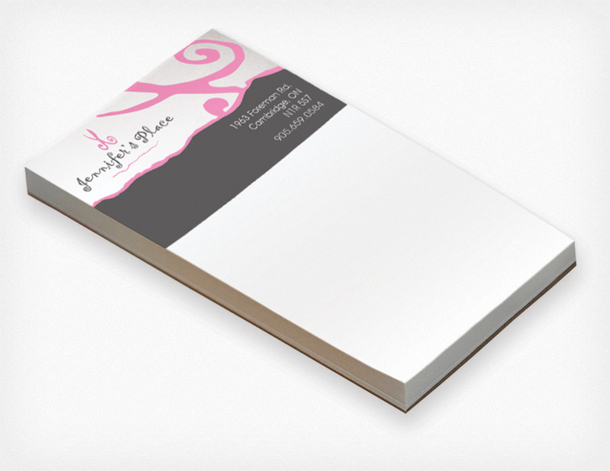 We can design your Notepad for a flat fee of just $79! This includes your initial design +4 rounds of revisions for 5 versions total which is more than enough 95% of the time. Additional rounds of revisions will cost $15 each. 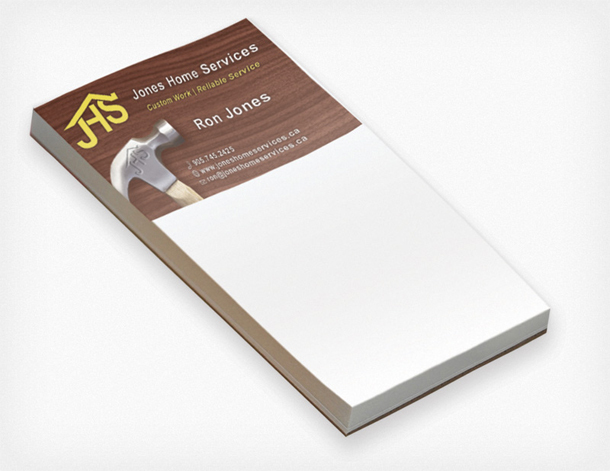 Notepads come in 20 or 50 sheets per pad. 20 sheets per pad results in a thickness of around 1/8". 50 sheets per pad results in a thickness of just over 1/4". What's best for you will depend on a variety of factors. 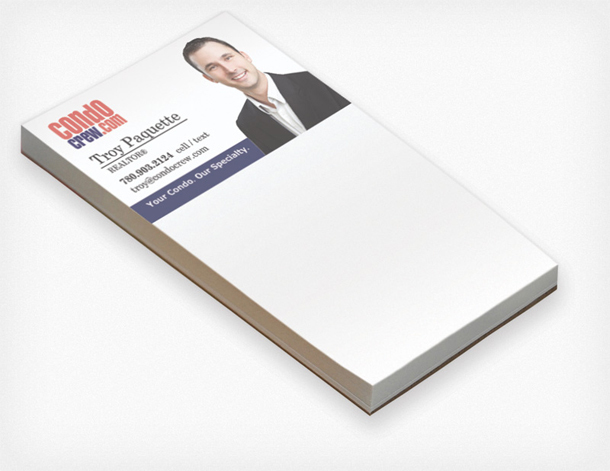 Typically, if your notepads are marketing giveaways, it's best to stick with 20 sheets per pad. 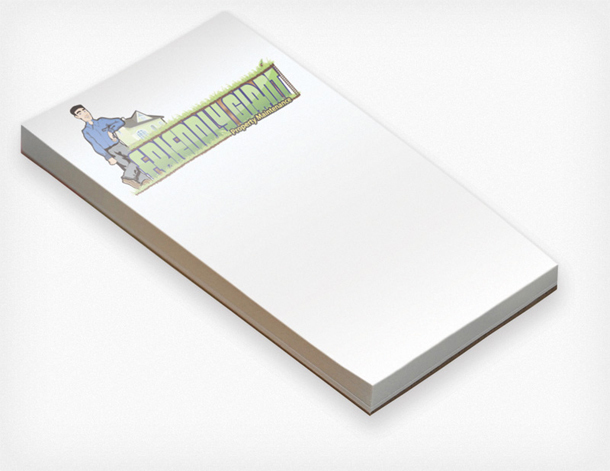 Our notepads come with a sturdy brown cardboard backing.